Fabulous Views of Ocean, Land’s End and Medano Beach Relax and marvel at the panoramic views of Land’s End, Medano Beach and the ocean from this third floor Villa. The large main terrace is the perfect place to enjoy your morning coffee or wind down after a day of activities. A second wraparound terrace offers spectacular views with privacy for the master suite. This three bedroom/4 bath condo is luxuriously decorated with contemporary furnishings. It will sleep up to 8 people. The large living room, dining room, and full kitchen are perfect for relaxing with families and friends. Welcome to La Estancia, treat this as your second home. You will fall in love with Cabo whether it is your first time visit or you are returning you will learn to love this magical place. The Villa is furnished with all the comforts and conveniences of your home. Whether you are lying on the beach to unwind from your stressful job and demands at home or having a relaxing swim in the infinity pool you too will fall in love with Cabo. Each visit is a unique experience. If you are feeling adventurous you can fish, scuba dive, golf, shop, tour local towns or maybe you just want a lazy day on the beach. Cabo has it all. The resort is very kid and family friendly. On either side of the resort are sister hotels which you have full access to visit their facilities. Indulge yourself for a day at the Desert Spa. The spa is huge - 31,000 square feet along with an adjacent Fitness Center - which means you have an array of choices, both in the types of treatments and in available appointments. The Hacienda-inspired holistic center will allow you to indulge and refresh every inch of your body, and offers choices you will love including massages, body wraps, facials, hydrotherapy, and even couples' massages. You have worked hard …treat yourself to one of the best resorts in Cabo. Just minutes from town and located on a swimmable beach you will fall in love with La Estancia. This vacation will be among your most memorable since La Estancia is a five star resort and has all the best Mexico has to offer. Loads of Sunshine with Great Beaches, Turquoise blue water, Great Restaurants, Lots of shopping, Outstanding Fishing, World Class Golfing, Swimming with Dolphins, ATV rides, Scuba Diving, Snorkeling, Parasailing, Swimming, Kayaking etc. If you just want to relax and decelerate from your busy life back home or do lots of activities your dream vacation will be fulfilled with infinity pools and pristine sand with turquoise waters. You will have all the comforts of your home and everything you are used to in the United States. If you like to cook there are lots of kitchen utensils as well as a barbeque for outdoor grilling of fresh fish you caught or a nice juicy steak. With the US Dish Satellite TV you have the ability to record and watch your favorite shows. You will have high speed accessAdditionally from your balcony you have a great view of the ocean, beach and famous rocks of “Lands End.” The Cabo sunsets and sunrises are breathtaking. Panoramic ocean front walk steps to the water. This end unit right on the beach,has spectacular views from all patios. It is spotless and has everything you need. (Hair dryers, washer/dryer and iron) We were greeted at the front by the Concierge and escorted to the Villa and served Margaritas with chips, guacamole and salsa. The grounds are beautiful and the staff always there when you need them and willing to help with anything. Including going to the store to buy the guys tubes to float in the ocean on! We had a light go out in one of the bathrooms and maintenance was there in less then 15 minutes to replace it. I can't say enough about this Villa, we will definitely be back!! For this listing, I had made all arrangements in Nov 2015 for March 2016 trip. All went per usual ( reservation confirmation email from owner with confirmation #, time blocked off availability calendar, funds received) and were validated by the VRBO website/listing. A week before the start of the trip I had not received check in information from the owner. Several emails seeking information went unanswered. I contacted the owner directly by phone four days before check in date. He told me immediately that I had NO reservation and that he had not received any payment ( I guess he had gotten the emails after all). After checking with customer service at VRBO it was initially put in my lap to sort this out. In trying to salvage this trip I had two more phone conversations with this owner who was incredibly rude, condescending and ignorant. After several ( 3+) hours with the VRBO customer service department, he issued a refund ( which takes 5-7 days to process FYI). His curt " sorry for the confusion" email was irritating as we scrambled to find another place in Cabo San Lucas for our spring break family trip . Also suspect was his quick offer of a similar booking at the same resort "off the record" of VRBO. Please beware of this owner! 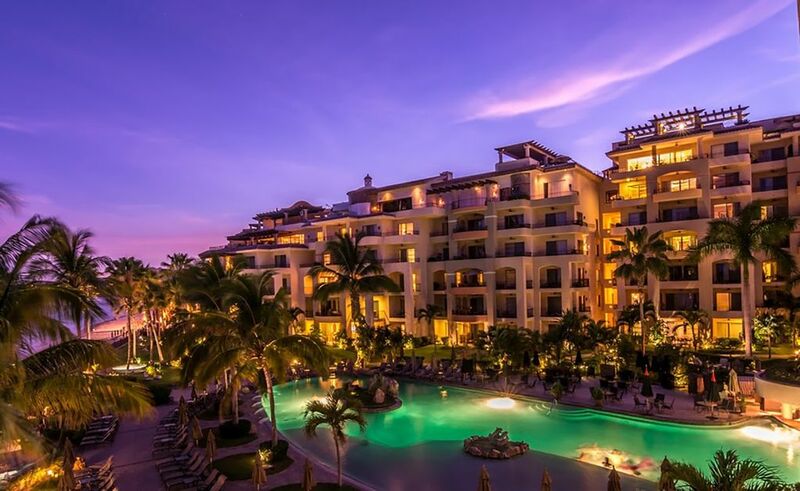 I am an owner of several villas at this luxury Cabo resort, Villa La Estancia, for now over a decade, and also manage hundreds of these units, having even been active on the HOA as President. My goal has always been to offer the best experience to both my clients and the owners, so because of this, I do not always book the actual reservations on VRBO because there are many better ways to accommodate our guests and give them a better overall experience from concierge services to private cars to activities. As a VRBO member since 2003, I have rented to thousands of happy guests – and you can read thru several of our great reviews proving this. Unfortunately there is an automatic default on the VRBO system which if not careful, will automatically book the reservation when one is just wanting to simply reply. This is what took place. So because they never received a confirmation number from our end (we provide one that is actually given to us from the Villa La Estancia directly), and we never received any confirmation or payment from VRBO (as they pay owners after a guest stays), by the time the client reached closer to their reservation date, the villa/unit had already been booked for Spring break. We tried to reach back out after realizing that there was a mistake made through the VRBO booking system, and that’s when we quickly offered other units I own that were still available during this high season and busy period. When I personally called VRBO’s customer service, they had agreed with me that it looked as though the “confirmation” that was sent from their system was preemptive as well as incorrect. While I can understand the frustration that was had by the client, the communication between us had only been 2 emails, never hearing back any affirmation that they were in fact still interested in the rate we offered and the units we had. Villa La Estancia has many different ways of booking the private Villas and by the week before the only option we had was to show some of ours that are listed on a private site. Unfortunately by this point this client felt very upset as we can only imagine. Rather than understand the situation and the surprise and dismay we also had, they chose to write an unfavorable review. We hope to one day make it up to them. We had a family reunion and were able to get multiple villas at Villa La Estancia. The location of this resort is perfect walking distance to the beach and restaurants, every restaurant we went to had amazing authentic cultured food! We traveled with various families and young children, this resort has a family friendly environment which made it for a great relaxing vacation. My wife and I spent our anniversary here and it was excellent. We loved how relaxing it was and spent most of our time at the pool and spa. Great experience, we will be returning soon! My daughter and I just returned from beautiful Villa La Estancia! I highly recommend this resort and the accomodations were top-notch. It is completely remodeled with very up-to-date high-end furnishings. I worked with the listed manager in securing a great property and we couldn't have been more pleased. She also had great suggestions regarding tours and restaurants! !It is easy to get to great restaurants, and the tours will come and get you from the property. We look forward to coming back there soon!! !